Compassion is understanding, it does not include sacrifice. Compassion is not martyrdom, it is not sacrifice, it is pure mastery, even of the emotions of pity. This ties closely in with a discussion I was having with my life partner recently about Aikido, its teachings and philosophy, assertiveness and reconciling the taking of a life. In Aikido, as it has been explained to me, the objective is to return harmony and balance to a conflictive situation. But, not necessarily having your will bent in order to to it. The key is to be assertive. 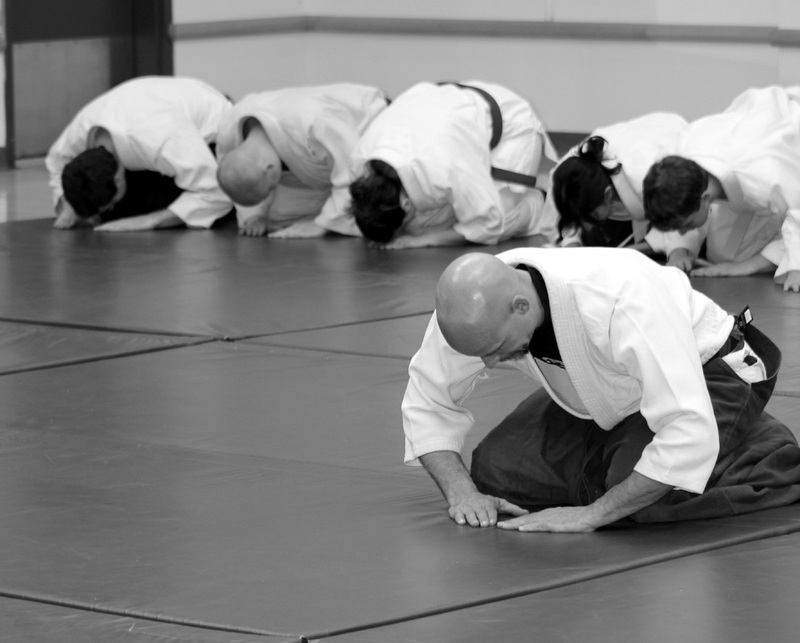 Aikido teaches about compassion… about being compassionate and caring of your “adversary,” while standing your ground. I have often sat through my partner’s discussions with other Aikidoka about the taking of life within the art. As a matter of fact, it is one of the questions that my partner asks of any of his Aikido students each time they test for a higher rank… A sort of measure perhaps of their increasingly deeper understanding of the philosophical aspects of the art. For me, assertiveness has varying degrees. I can be quietly assertive when faced with quiet contention, but if my adversary’s argument is that I should die, then I know that I have to take my assertiveness to a new level, one of us will likely go home in a body bag – and as much as I can help it, it won’t be me… I think that is assertive. I also think it is compassionate. I don’t have to agree with my adversary, hence the term adversary, in order to be compassionate. I do not have to sacrifice of myself or become a martyr in order to show compassion to my aggressor. I can show compassion to us both by standing by my side of the argument – by exposing the two of us to another view point, and allowing each of us the opportunity to learn from the other. Even in the confrontation, I can still be compassionate and maintain what ever degree of assertiveness is necessary. I can also, remain open to seeing that my point of view may not be the best one – and be compassionate in that way – but still not allow the knife in my opponent’s hand, or the words on his lips, to pierce my skin. Compassion and assertiveness go hand in hand… In being compassionate with myself, I must be assertive while on my path, about my thoughts and views, and needs and desires. Caving in to the will and whim of everyone around me is detrimental to us all… because I deny them and myself of the possibility of learning, of being exposed to new things, and views, and lessons. That is not compassionate. This can then extend outward to everyone and everything around us… moving us forward… Extending… Growing… Universally… into a state of greater tolerance and understanding. If I can be open to someone’s opinion, even when that opinion is that I should die, I am expressing compassion and tolerance and a deep understanding and love for that person’s right to have their opinion. By remaining assertive in my own view of the discussion, I am exposing my “opponent” to new views, with viable and important lessons, and so expressing compassion for that person. In doing so, however, I can also show myself compassion by not allowing myself to carry a cross that is not mine. Lissette Fitzgerald is a Sandan in Traditional Tae Kwon Do, a member of the Jeet Kune Do Athletics Association, a PFS Edged Weapons Law Enforcement Instructor, and FAST Combatives/ FAST Defense Instructor. She has been studying under her husband, Cat Fitzgerald Sensei, a blend of Aikido, TKD, Muay Thai, JKD, Kali, and other arts for several years. 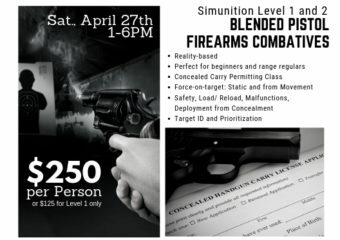 She is Co-Creator and Chief Training Officer of the ASSERT Empowerment and Self-Defense program, which is currently an integral part of the curriculum at several schools, universities, social groups, eating disorder clinics, Foster Teen transitional programs, and at-risk youth outreach programs. She is responsible for research, case study, and curriculum building for both Neko Okami Integrated Martial Arts and ASSERT Empowerment and Self Defense and is co-founder of KSA Martial Academy in Nashville, TN. Liz is an award-winning Marketing Editor and Writer. For more information, Liz may be contacted by email at info@YouCanBeASSERTive.com , or you can visit the ASSERT Student (www.YouCanBeASSERTive.com), ASSERT Instructor (www.ASSERTInstructors.com,) or ASSERT Professionals (www.ASSERTProfessionals.com).